During the holiday season LongHouse founder Jack Lenor Larsen takes full advantage of his four-season garden. 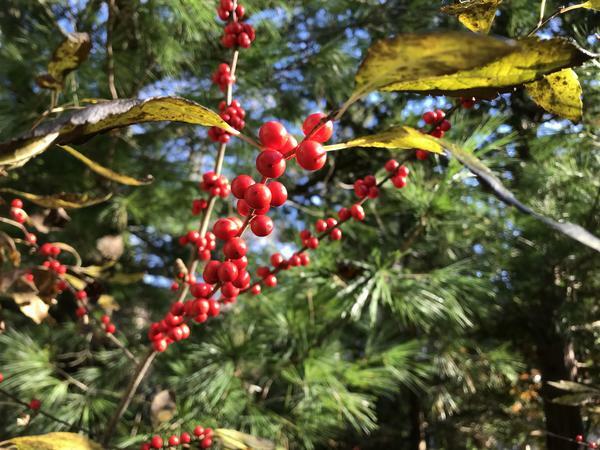 The everygreens and branches laden with berries that grow throughout the 16 acres adorn the house, the office and public spaces of LongHouse. Continuing their mission to surround themselves with art in all its forms, they are inviting people to tour with staff horticulturist Alex Feleppa and see how long harvests for the holidays.